It's what you've been waiting for! 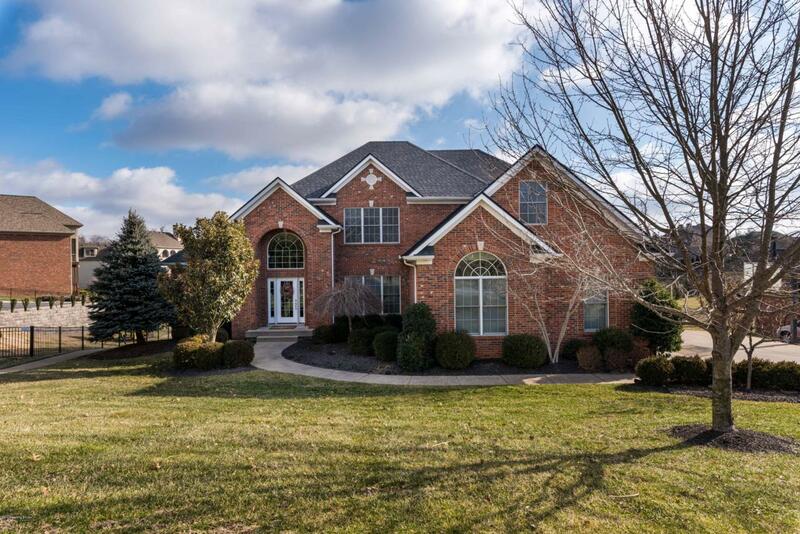 This DREAM HOME is located in the much desired Woods of Lafayette in Floyds Knobs. Situated ON THE LAKE with panoramic views and several incredible entertaining spaces, this home will impress any guest. Grand eat-in kitchen with CUSTOM made cabinetry and high end GRANITE countertops, large pantry, and formal dining room offers expansive space for dining with family or entertaining guests. This home has an elegant living space with exquisite trim work, VAULTED ceiling, fireplace, custom built in shelving system, SURROUND SOUND, plus a cozy hearth room with a second fireplace, perfect for relaxing. Retreat to the master suite with a grand bedroom, triple tray ceiling, spacious walk in closet, SPA-LIKE master en-suite and access to the deck, (cont. )Overlooking the lake. Beautiful open staircase and hall overlooks the living room, and takes you to three more bedrooms and full bath. The extravagance continues, a finished WALKOUT basement, that's designed to entertain by including a custom wet bar, recreation space, workout room, surround sound, and access to the lower level patio and fire pit. Exterior is beautifully landscaped, and has an irrigation system in the front yard. This home is a short walk to the CLUBHOUSE, POOL, and tennis courts. Updates include new roof (Fall of 2017) and new hardwood flooring in main level and hall. FLOYD CENTRAL SCHOOL DISTRICT.